The pale purple lampwork by Princesse Lou. Complete your charms bracelet with an elegantcharm bead . The glass bead is made with fine workmanship and is of very high quality. Designed to fit for most European style bracelets. Charms fit for Pandora Bracelet, Soufeel Bracelet, Troll Beads Bracelet. You are in the Collection of Glass Beads. Does creating a charm bracelet tempt you? 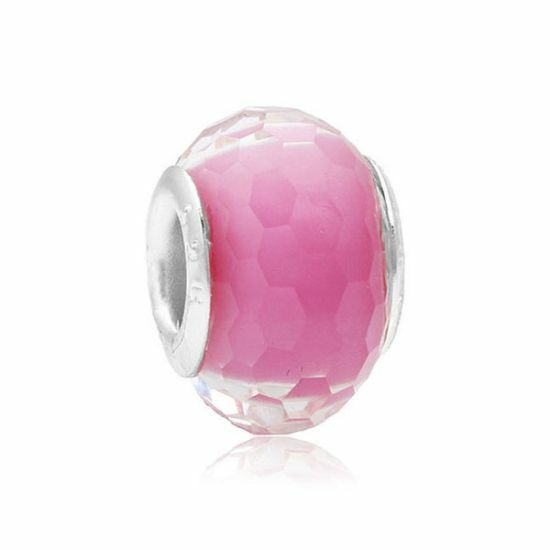 Like Murano charms, the lampworks are perfect for customizing a cheap Pandora bracelet, such as a bracelet. Bring a pink bead, blue bead, red bead, black bead... You can even match them with rhinestone beads, Pendants, spacers and cheap charms. Take advantage of discount, promotions and black friday to offer a gift for women on a birthday, Christmas, Valentine's Day or Mother's Day! It is also an original gift idea for girl!